Warmhearted home environment for your loved one. No more worries. We understand the transition to living with assistance can be challenging. We understand that you or your loved one want to be treated with dignity and respect. Set your mind at ease. We will take care of you and support you or your loved one by offering long-term comfort, care and compassion in a home-like setting. 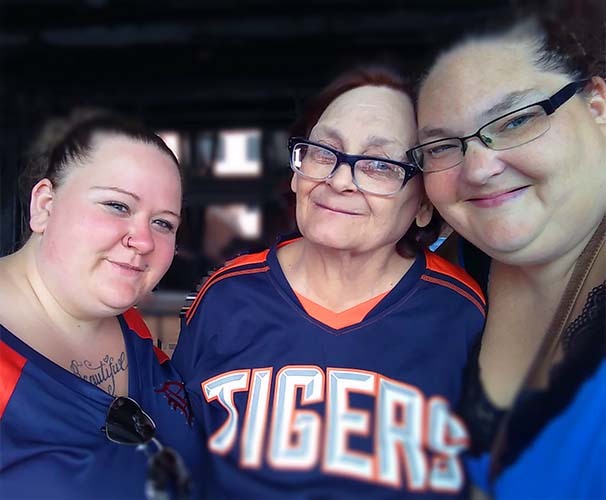 Our family owned business consists of a dedicated group of experienced, friendly, qualified caregivers that are known throughout West Michigan as having the best in service available. We will provide you or your loved one a range of personalized assistance in everyday life to comprehensive personal care and community living supports with our 24/7 on-site staff in Grand Rapids, Michigan. Our homes are licensed by the State of Michigan to care for seniors and adults and those with mental illness or developmental disabilities. They are specially designed to provide a safe environment. They meet the needs of adults and seniors who desire to maintain independence as much as possible with extra supports to maintain their health and personal care. We offer clean, attractive, living spaces in shared or private rooms so you feel as safe and comfortable as possible. Our environment is easy paced and relaxed. Delicious home-cooked meals and opportunities to participate in community and in home activities are provided. Our team of well-trained caregivers with serving hearts, conscientious, reliable and insightful care will support you or your loved one by meeting or exceeding your quality of life and goals. We value cooperative, accurate communication with professionals and family to maintain the health and personal care of each person that lives in our homes to give you or your loved one peace of mind. Our goal is to serve and enhance the lives of each person we care for. Contact me to learn more. Our team of caregivers have friendly, honest, serving hearts. Our goal is to give you or your loved one long term quality of life and peace of mind. We are a group of highly trained specialists which provide conscientious, reliable and insightful care. We are experienced and dedicated to the care of our residents. We will support you or your loved one by meeting or exceeding your needs and goals. We value cooperative, accurate communication with professionals and family or supports to maintain the health and personal care of each person that lives in our homes. Ascension Health homes are located in Grand Rapids, MI and are within one mile of each other, allowing us the ability to more easily support residents with shared transportation for outings and social events, as well as consistent management. We strive to surpass all safety regulations and regularly improve comfort and decor. Each of our homes is unique, offering distinct amenities as outline on Our Homes page. Scheduled tours are available to applicants, giving them a chance to meet our staff and experience the facilities. We are looking for individuals who are compassionate, caring and have a passion to serve those that can no longer live independently. We offer a friendly home-like work environment in Grand Rapids, Michigan where you are respected and a valued part of the team. Paid training and mentoring programs are available. Compensation is competitive and based on experience. We are an easy going, professional team, like to have fun, and love caring for those in need. We are one of the most respected adult foster care homes in Grand Rapids which is family owned and operated. We offer a variety of work opportunities ranging from Support Staff to Live-In Staff to Management. Or click link below to learn more about opportunities that are currently available. Questions? Ready to take the next steps? We are here for you and happy to answer any questions you may have. Click the button to the right to request a phone conference with our owner, Nadine.